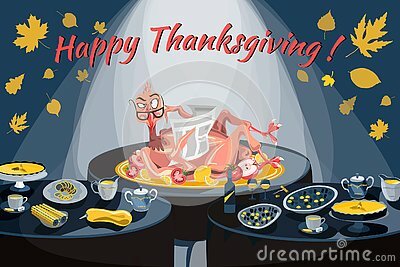 Vector illustration of a turkey reading a newspaper with a brazen face on a festive table with other dishes. Thanksgiving greeting card, banner, poster design. Turkey Flag of puzzles on a gray background.